of chocolate smeared by sticky thumbs. they’re turning green from too many treats. but someone must clean up this crap. Then maybe I’ll close my eyes for a min. And a mountain of empty boxes to squash. And new winter boots still sitting there. Come to wake me ere daylight grows. as the tore into the pile left by St. Nick. Like two rabid little foxes. – Legos and Fashion dolls! – Candy canes! Cheap toys! – Games and new balls! 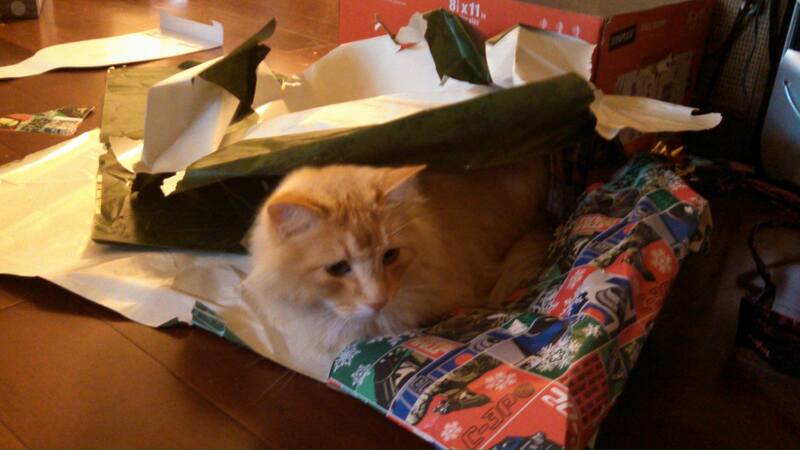 This entry was posted in creative writing, poetry and tagged 2015, cat, humor, kids, parenting, poem, single mom, the Day After Christmas, wrapping paper. Bookmark the permalink. Every year. Every.Single.Year. Have a good laugh to spice up the post-Christmas clean-up!